If you are seeking body shop repairs in Waxhaw NC and you would like to make sure you get the best price, you should consider getting a quote through our company at Piedmont Dent Repair today. Our staff members can provide paintless dent repair services. These are hail dent removal services which are traditionally less expensive than other services that you may receive at a body shop. Rather than having to pull body panels off of your car and then completely respray them to maintain the finish, your vehicle’s original finish will be preserved with the help of tools that can pull the dent without ruining the look of your paint. Not every vehicle will qualify for paintless dent removal, but our technicians can provide a quick quote for you to determine if your vehicle can be fixed up using this method. With the help of our mobile dent repair solutions, you can get a quote and then repairs wherever it is most convenient for you. We have designed this service to be the best resource for hail dent removal and quick dent removal solutions whether you’re at the office, in the driveway or in our service bays. We will provide a quick quote on your vehicle and the dent you need fixed. We will also offer prices that are affordable enough for you to consider going without insurance so that you can avoid paying a higher premium. 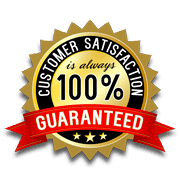 The projects that we complete are all backed up with a comprehensive guarantee as well. Our technicians truly stand behind their work and this means delivering a paintless dent removal that we will redo should you be unsatisfied for any reason. If you would like a quote on mobile dent removal in Waxhaw NC, you should speak to our service professionals today. To seek us out, simply search for “mobile dent repair near me” in Waxhaw, NC online. Contact our technicians today at Piedmont Dent Repair for all your hail damage repair and mobile dent repair needs. We will get you back on the road quickly.